The next in our Korean Special this month, here we have the pal Bluray release up for review . The film follows one Choi Nam Yi ( Park Hae il) who is a archer who sets out to save his sister from the clutches of Prince Dorgon. Set during the second Manchu invasion of Korea ( you got to fell sad for Korea during these times ,then the Japanese invaded in later years ) ,anyway the film starts with Nam Yi as a child ,along with his sister Ja In ,they go on the run after their father ( a famous archer and officer of King Gwanghae ) is slain when King Injo's guards attack their home. With his children’s safety foremost on his mind he sends Nam Yi and Ja In to take refuse with his friend Kim Min Soon. Their father stands his ground and fights Injo's guards but outnumbered he is taken down. In the wilderness the young kids eventually make it to Kim Min Soon's . he atkes the kids in and takes them as his own. Years pass and Nam Yi has become a expert Archer and hunter ,though with little cares of the world of politics and prefers to drink ,hunt and generally be lazy git ( ahh ! That's the life) , now his sister Ja In has grown into a beautiful woman and plans to wed Min Soon's Son Seo -Goon . Ja In would like approval from Nam Yi to wed ,but he's not accepting the idea ,any way Min Soon is their Godfather. Any how Min Soon approves the wedding and arrangements are made . Knowing he's not going to stop the celebrations Nam Yi brings her some shoes for the wedding day and leaves them outside her room. Nam Yi goes into the woods to console himself hunt and be alone , but when he hears rumbles of approaching horses he rushes to see what's going on. Nam Yi notices Invading forces approaching the village ,he intercepts a few of them by playing dead, Nam Yi ends up getting one of them but has to run for his life , heading for the village he arrives amongst havoc as the invading forces are slaughtering people and taking prisoners when they can. Seeing his Godfather slain he looks for Ja In , but when he finds out she's been taken , he decides to trail them to rescue Ja In . 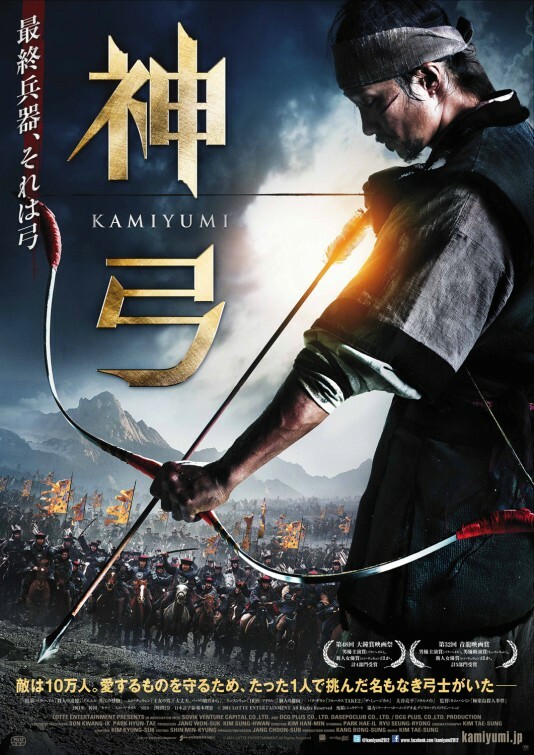 Now when the Commander of the Qing army discovers that a man is trailing them and taking out his men one by one he becomes obsessed with finding Nam Yi . 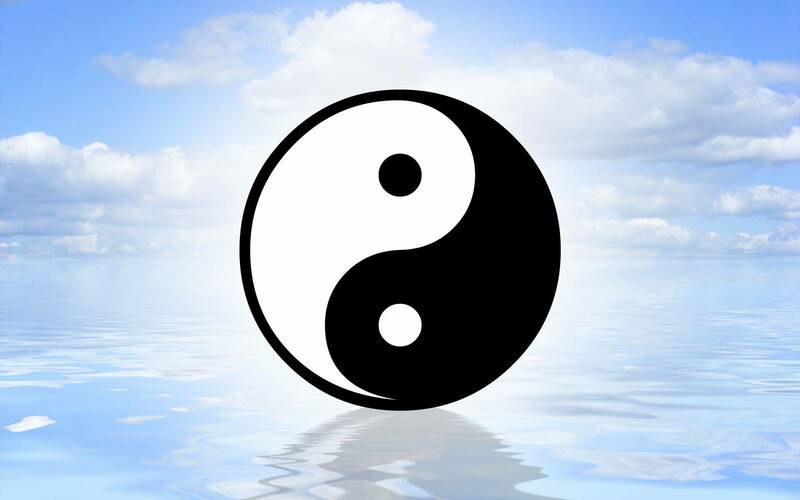 The Manchu send out a squad of experts to take care of Nam Yi, the hunter has become the hunted as Nam Yi must use his skills and his knowledge of the region to out wit a band of highly skilled assassins out for blood. 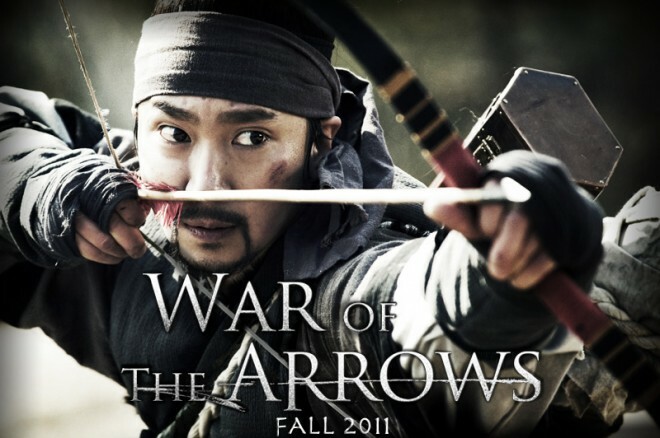 War of Arrows is one of those films which is a must see , it's a Korean award winning masterpiece where the action is as tense as the story itself. The weapon effects are a hark back to watching a balletic John Woo masterpiece whilst maintaining a truly gritty feel to them. Add to this the various locations used while filming and you have a lush looking canvas in front of you exuding quality. Korea do not produce martial art films per-see ,but what they do well are these historical epics ,their use of martial arts and weapon tactics in their films bring action to the screen in a very different manner to films from Hong Kong or China whose films of similar genre focus on the Martial arts story more ,sometimes forgetting about anything else . War of Arrows is a wonderful film that will have you literally on the edge of your seat , whether your viewing a hectic action battle or compassionate scene. But one thing for sure your wonder where the two hour running time went to. We viewed the Cineasia Bluray edition of the film ,and once again Cineasia have delivered a lovely transfer with good sound quality . The colours and vibrancy of the battles really come out from the screen and the fast paced weapon scenes look clear and focused right . And being that you can pick up this on Bluray for little under a tenner ,i suggest you jump up and indulge if you have not already done so.